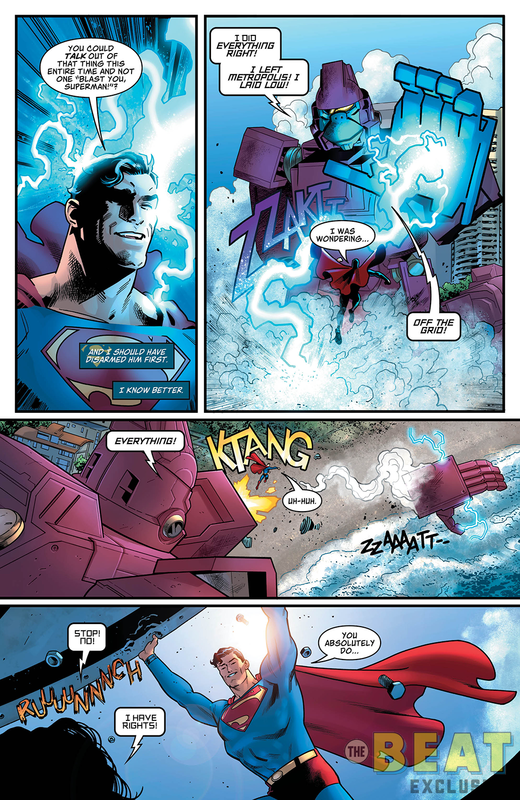 Last week, writer Brian Michael Bendis made a daring debut on Superman with Man of Steel #1, the start to what is sure to be an epic new journey starring the Earth’s most powerful defender of truth and justice. 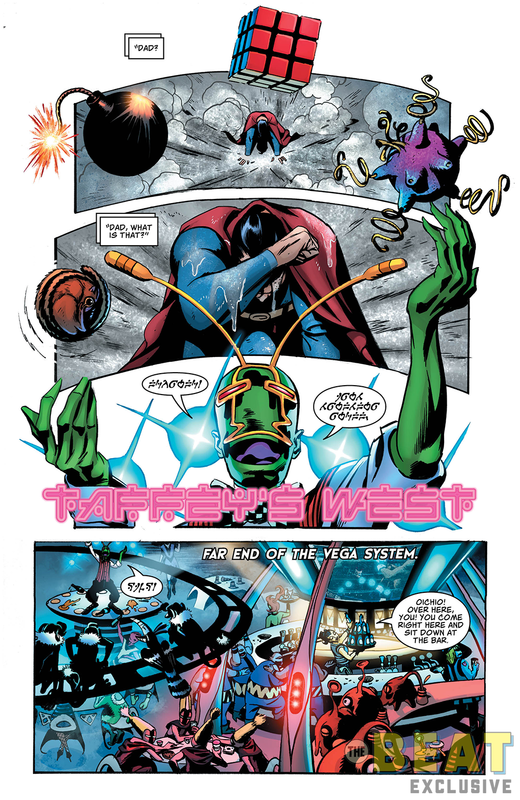 This Wednesday, the epic continues with The Man of Steel #2, an issue featuring the legendary artists Doc Shaner and Steve Rude with a clutch assist from Jay Fabok. 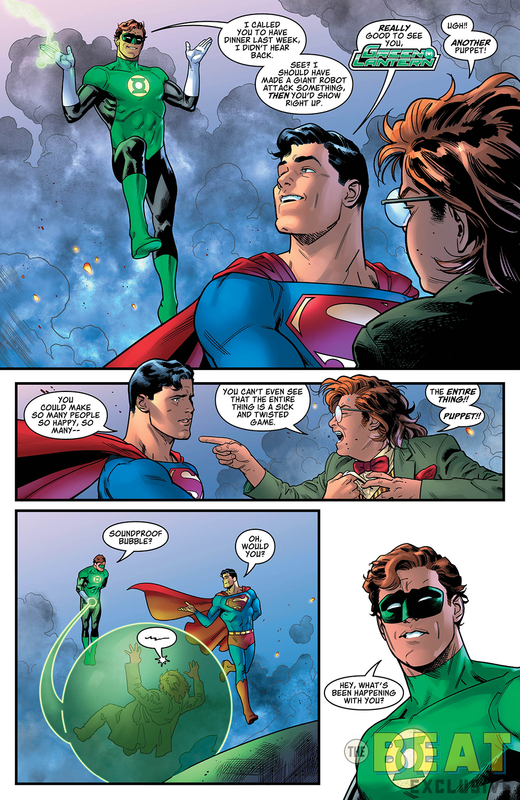 As the mysterious fires burning in Metropolis continue to vex Superman, another investigation comes to focus on Clark Kent himself. 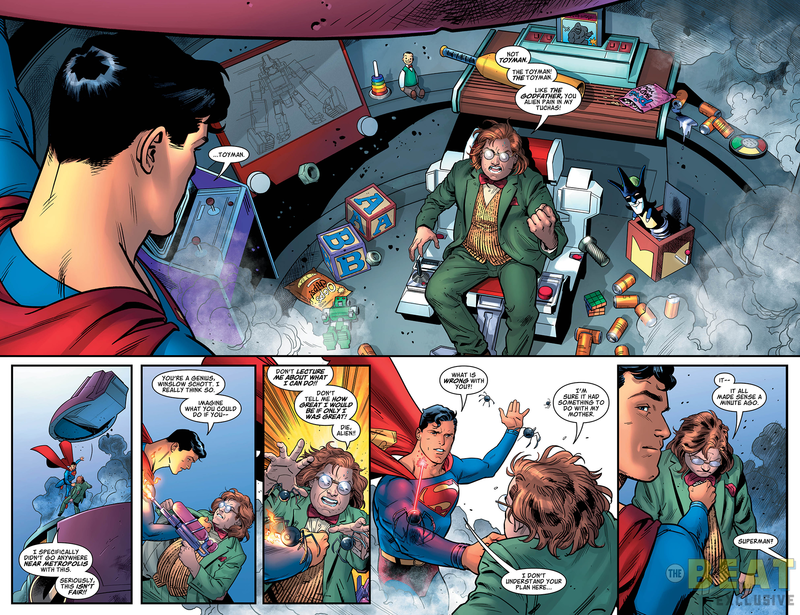 With his wife Lois and son Jon missing, how long can Superman continue to pretend like nothing has gone wrong at home? 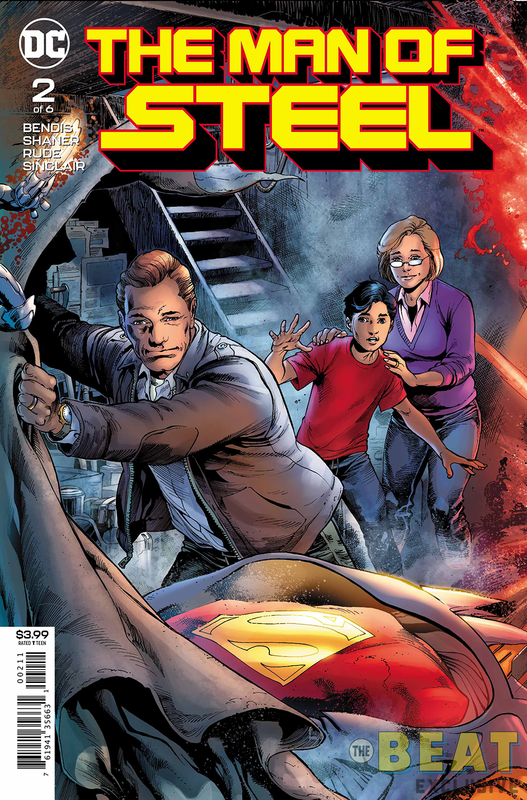 Check out the Beat’s exclusive preview of The Man of Steel #2 after the jump.